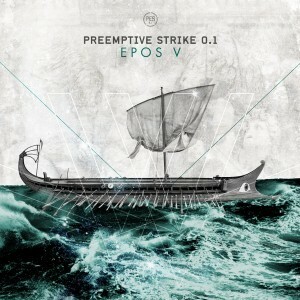 PreEmptive Strike 0.1 are back with their 5th album so far, aptly titled “Epos V”. 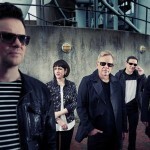 And the electro heads will be pleased that after a short venture into metal with two Maxi-CDs and a 7″ vinyl, the Greeks trio decided to return to their pure electronic sound. The album is available now for ordering! Not that they have completely thrown the metal aspect overboard, because the album also includes a cover song of “Coat Of Arms” by swedish power-metallers Sabaton, in both english and german version (with vocals delivered by Endanger’s Rouven Walterowicz). Next to that the album also holds a collaboration with the Polish, black-metallers of Black Altar. To remain loyal to their Greek roots, the follow-up to “T.A.L.O.S.Epic” incorporates the use of traditional instruments such as the bouzouki and Cretan lyra. 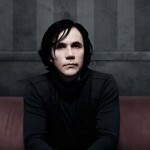 Below os the video for “The Death of Talos”.